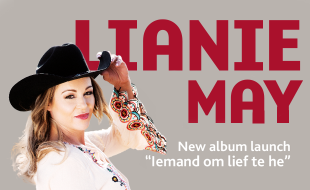 Lianie May celebrates 10 years in the industry with her brand new album, “Iemand om lief te hê”. She will be singing her greatest hits from the past 10 years, duets, old familiars, dance songs, as well as her brand new hits in a show not to be missed. Expect a surprise or two.